The Democratic Party has accused PM Edi Rama and the Interior minister, Fatmir Xhafaj yesterday concerning the allegations about the involvement of the latter’s brother in the traffic of drugs. This time, it was the vice chairman of this political force, Edi Paloka, who publicly accused the Prime Minister and Interior minister of destroying evidence, which, according to him, prove their involvement in the traffic of drugs. “Edi Rama lied when he said that he has sent the recording for analysis to a foreign agency, because he does not reveal the name of this agency. 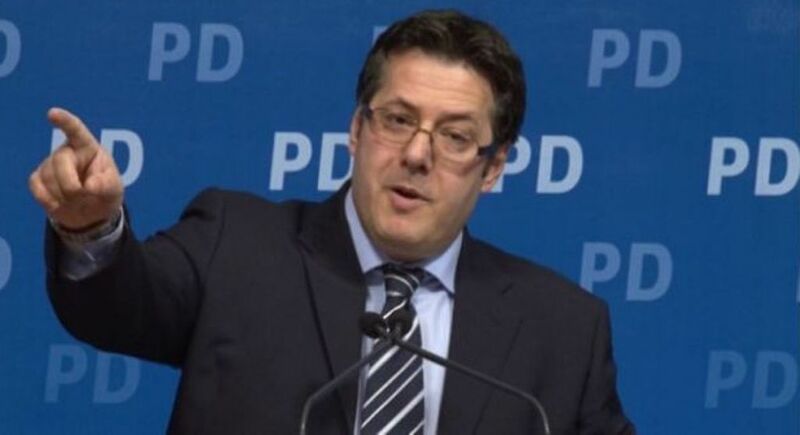 He knows that Agron Xhafaj controls drug traffic in the city of Vlora, while his brother, Fatmir uses his post as minister to destroy all the evidence”, Paloka said. The democratic official reiterated once again his invitation for the protest that will be organized by the opposition on 26 May. “I would like to invite you once again to protest together on Saturday, in order to remove from power the minister of drugs and traffic and to give this arrogant government, which serves criminals, the answer that it deserves”, he appealed. Meanwhile, the Prosecution of Serious Crimes will summon today journalist Jetmir Olldashi, to question him about the audio-recording of the so called “Witness X”, Albert Veliu, after admitting that he was responsible for it. He will be asked to provide the entire recording and the analysis that it will undergo, will answer many questions on the authenticity of the recording. Meanwhile, the three democrat officials who published the material in question, Ervin Salianji, Enkeled Alibeaj and Gazmend Bardhi, will also be questioned by the prosecution.